AMD certainly shocked the PC gaming world last year with the launch of its new line of Ryzen processors. This is because while AMD’s hardware has always been a budget alternative to Intel’s Core processors, it was always lagging behind when it came to actual gaming performance. The thing is, though, that Ryzen has been a real game changer, as for the first time in many years AMD has a processor line which can rival Intel’s when it comes to actual performance. This led to a quick response from Intel, with the Santa Clara company putting out its 8th generation processors ahead of schedule, leading to shortages worldwide and meaning many people had trouble getting hold of models like the Core i5-8400, arguably the best gaming processor you can buy today. AMD is not resting in its laurels however, and is now planning to release the next iteration of its Ryzen processors this April, while it has already given people a taster of what to expect from the 2000 series with the newly released Ryzen 3 2200G and Ryzen 5 2400G processors. What’s interesting about these processors is that they are the first Ryzen models to feature built-in graphics, meaning you won’t need a discrete graphics card if you’re thinking about putting together a basic PC for productivity and gaming. Actually, the Ryzen 5 2400G in particular (which is priced at $169 US dollars) could become the gaming processor of choice for PC gamers on a budget as it not only is close to the Ryzen 5 1500X when it comes to computing performance, but its integrated Vega graphics offer roughly the same performance as an entry level GeForce 1030 GT card from Nvidia. This was something AMD claimed with a series of benchmarks last month, showing how the Ryzen 5 2400G’s integrated graphics are leaps and bounds ahead of the built-in graphics found in Intel’s Core i5-8400. And now early reviews such as TechSpot’s suggest the Ryzen 5 2400G graphics are good enough to game at 1080p resolution with low quality settings, and even medium quality in some games such as Overwatch, which sure is impressive. Meanwhile, its sibling the Ryzen 5 2200G can also offer playable frame rates in games, and coming in at $99 is also a solid option for those who want to play games like PlayerUnknown’s Battlegrounds with decent frame rates. The only thing holding back the new Ryzen models though, as some have pointed out is the high cost of PC memory right now, but at least these two processors will allow you to game decently without spending a dime on a discrete graphics card, the prices of which are sky-high right now due to the Bitcoin mining craze. Of course, while the new Ryzen processors look like solid budget options, AMD is now gearing up to launch the remainder of the 2000 series, which feature improvements in clock speeds and performance across the board. 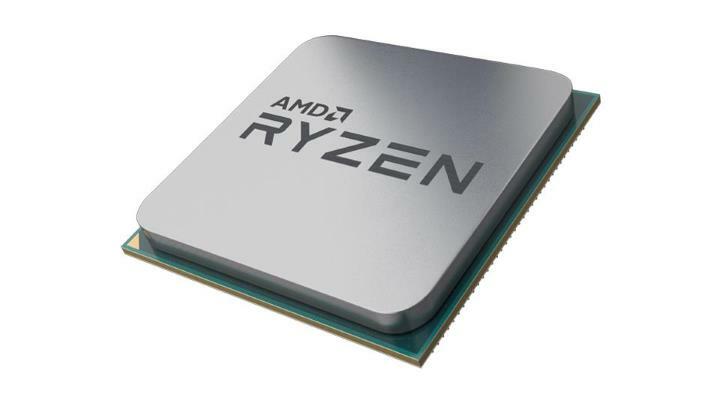 AMD announced these new processors will be hitting shelves in April, and shouldn’t cost much more than what the original Ryzen processors such as the Ryzen 5 1600 did at launch. These new processors will be supported by a range of new motherboards too, so you might consider waiting a little bit still if you’ve got the idea of putting together that dream gaming PC. However, current motherboards are still able to run the new Ryzen 2000 processors, and as a matter of fact manufacturers like ASUS have already released software updates to enable their use on currently available AMD motherboards. Also, Intel will be releasing new 8th gen processors this March, so it sure looks like things are about to get interesting in the PC arena in the months to come, and there’s still plenty to look forward to this year for those who enjoy playing their games on PC. Read more: Coffee Lake vs Ryzen: should PC gamers take the plunge now or upgrade later?